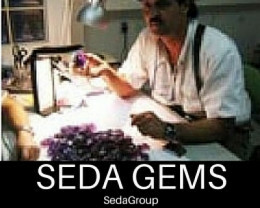 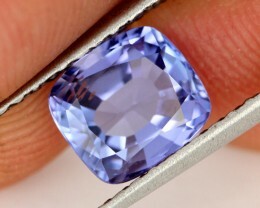 This is a natural -un heated stone from Boliva.This rough was from the miner Joe Rudd who is credited with naming the stone “Ametrine “The mine closed down years ago and this is the last of the rough to be cut. 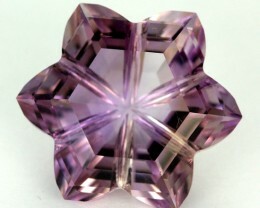 This carving show differing amounts of citrine and amethyst (as opposed to the 50/50 mix commonly seen in synthetic stones). 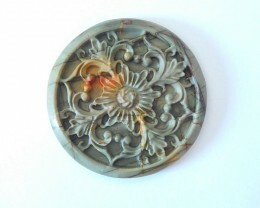 Beautiful carving. 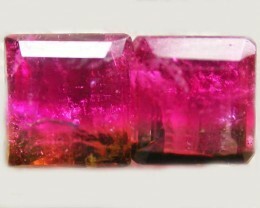 The citrine flows through the stone. 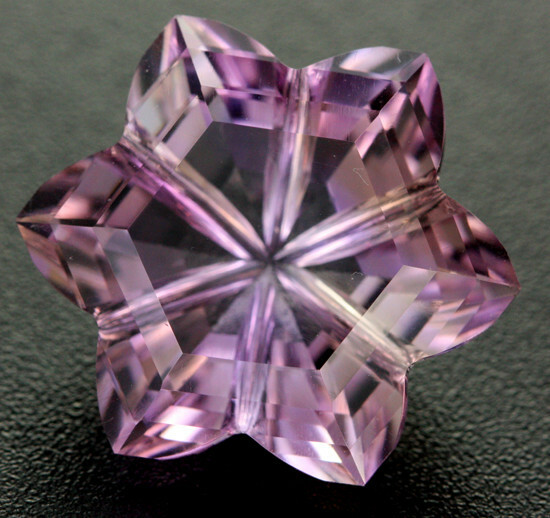 Sometimes amethyst and citrine colours are found in the same crystal of quartz. 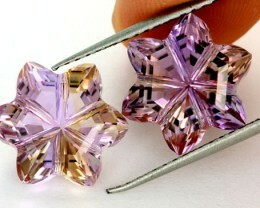 These bicolour yellow and purple quartz gemstones are called ametrine. 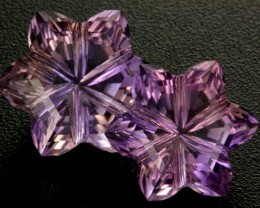 Ametrine is most typically faceted in a rectangular shape with a 50/50 pairing of amethyst and citrine. 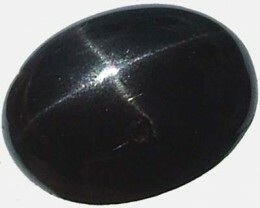 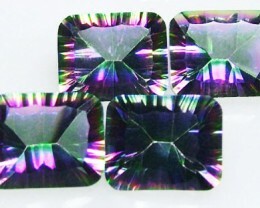 Sometimes a checkerboard pattern of facets is added to the top to increase light reflection. 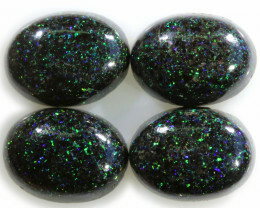 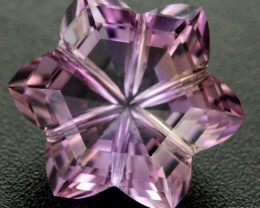 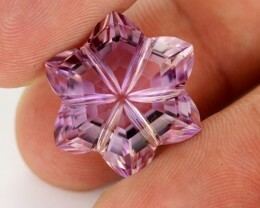 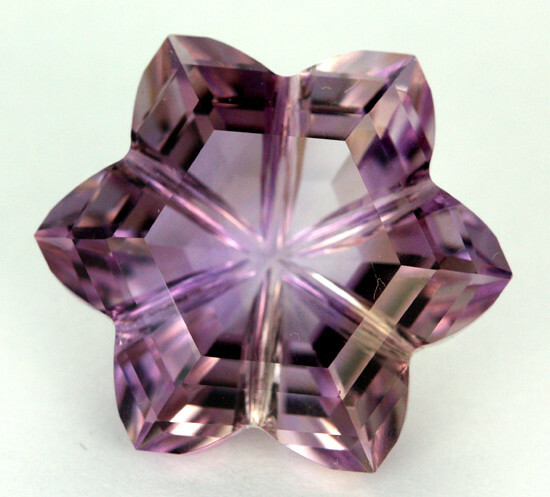 Ametrine can also be cut to blend the two colours so that the result is a mixture of yellow, purple, and peach tones throughout the stone.